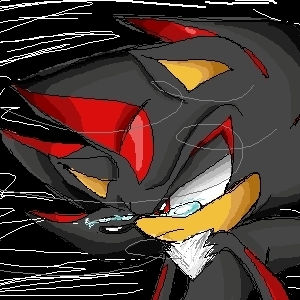 Crying Shadow :'(. . Wallpaper and background images in the Shadow The Hedgehog club tagged: shadow the hedgehog. ME:WELL.....WAIT DID U SAY BEAUTIFUL? ME:YAH WAT.... WAIT HOW DO U KNOW MY NAME SHADOW?? Alicia:"Shadow,I asked you if I was pretty.You said no. I asked if you wanted to be with me forever.You said no.I asked if you would cry if I walked away.You said no.I had heard too much and needed to leave and as I walked away you said,"You're not pretty or beautiful.The only thing that is is your heart.I don't wanna be with you forever.I need to be with you forever.And,Alicia,I wouldn't cry if you walked away.I would die." Shadow:......"That's what I wanna say every day,but I can't 'cuz I'm always by myself in this howling wind that makes my eyes runny. But your smile makes my life sunny at all times and that's something that could never change.I love you." Hey shadow7359... Shadow is MINE!!!! NOT YOURS!!!MINE!!! !